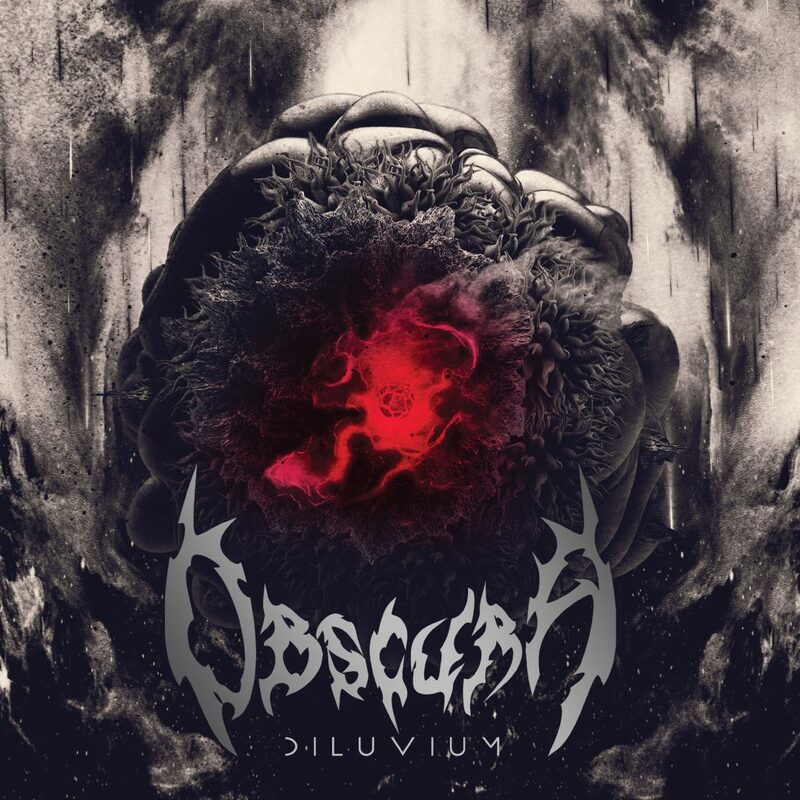 Germany’s progressive death metal masters OBSCURA have shared the second single from their highly anticipated impending full-length album Diluvium. Watch the official visualizer video for “Emergent Evolution” via Metal Injection HERE. 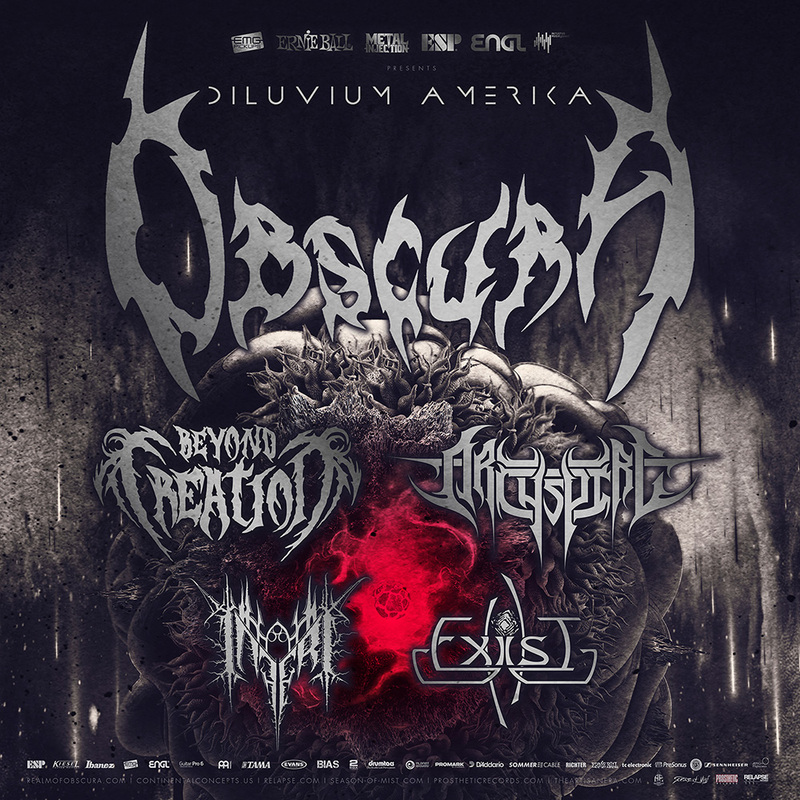 Additionally, OBSCURA have announced a North American headlining tour set to take place from mid September through early October. 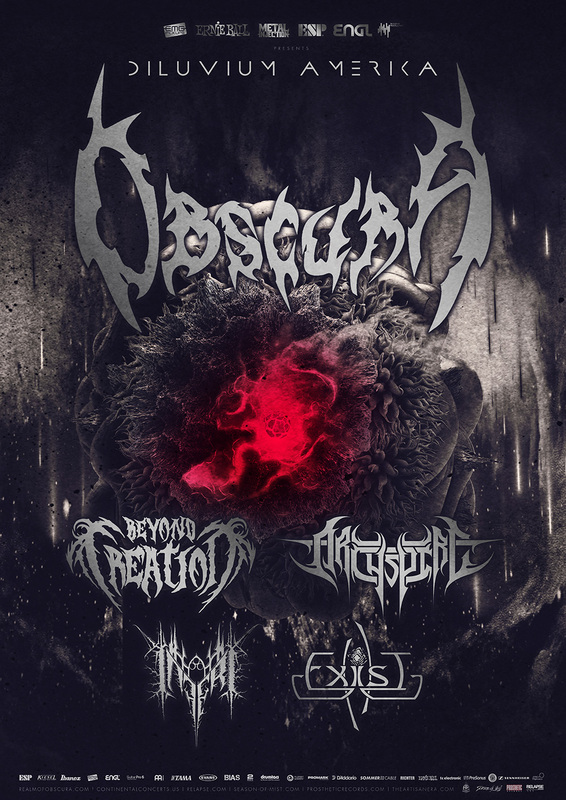 The band will be joined by Beyond Creation, Archspire, Inferi & Exist for what is sure to be THE most talked about progressive death metal tour of the year. The full list of tour dates will be announced shortly.